Tourists stop on the roadside near Mount Rushmore, after their visit was canceled due to the government shutdown. South Dakota and other states have reached an agreement to fund operations to reopen the parks. Thanks to agreements between the Department of the Interior and several states, a dozen popular national parks are open again, at least temporarily. The parks range from the Statue of Liberty to the Grand Canyon; the states are paying to keep them open for up to 10 days. State officials say it's particularly important to have the parks open during the Columbus Day holiday weekend. National Park Service employees began opening some facilities Friday; others will reopen today or Monday. Arches National Park, Bryce Canyon National Park, Canyonlands National Park, Capitol Reef National Park, Cedar Breaks National Monument, Glen Canyon National Recreation Area, Natural Bridges National Monument, and Zion National Park. "This is a practical and temporary solution that will lessen the pain for some businesses and communities" in areas affected by the shutdown, said Secretary Sally Jewell of the Department of the Interior. She added that the agency wants to open all of the parks, calling on Congress to approve a funding deal. The deal is "a godsend," Utah Gov. Gary Herbert said, according to NPR's Howard Berkes, who first reported on the developments earlier this week. Since then, other states have also agreed to terms. "Utah's national parks are the backbone of many rural economies, and hardworking Utahans are paying a heavy price for this shutdown," Herbert said. The government shutdown is a week and a half away from seriously affecting the number of burials at national cemeteries around the country. Cliff Shields, director of the Jacksonville National Cemetery, says the money that’s already been allocated to operate the cemeteries will run out October 22. But that doesn’t mean they’ll close up shop, he says. 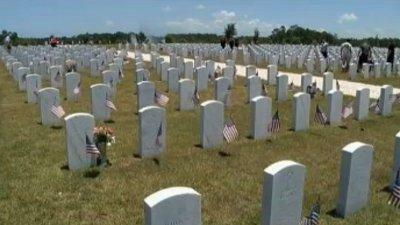 “We’ll continue to conduct burials but on a very reduced schedule," he said. "So, to say that the doors are going to close, I would say that’s not going to happen." 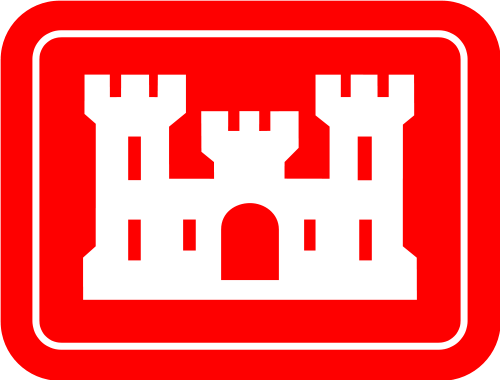 JACKSONVILLE, Fla. (AP) — About 200 U.S. Army Corps of Engineers employees in Florida have been furloughed in the federal government shutdown. The commander of the corps' Jacksonville district say those furloughs include employees working on an Everglades restoration project with an imminent deadline. Col. Alan Dodd said Wednesday that construction and water management projects continue. However, the corps has closed its parks and campgrounds. Work on the Central Everglades Planning Project also has been suspended.